You may think that drinking a protein shake after your workout will further boost your weight loss, but it could actually be stalling it. Protein shakes offer a convenient source of nutrition to replace lost fluids, carbohydrates and protein after an intense workout, but they contain no special ingredients or combination of nutrients that make a shake essential or necessary to help you lose weight. Be careful not to ruin your weight loss efforts by drinking a shake that may contain more calories than you burned during your workout. A commercial protein shake can contain more than 170 calories, so you have to factor these calories into your daily meal plan. Exercise builds muscle, which burns more calories while your body is at rest than does fat. 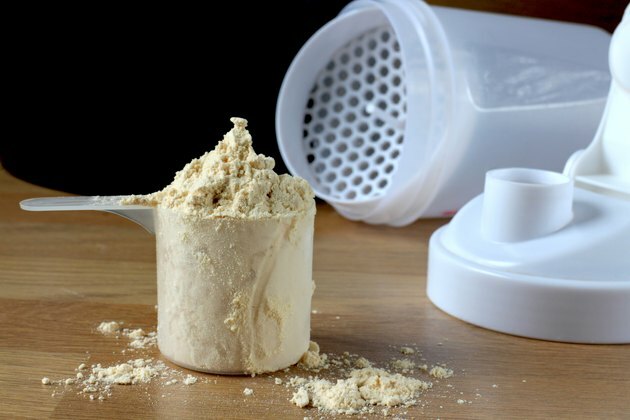 If your workout involved resistance or weight training, having a source of protein -- either from foods or a shake -- can help rebuild and repair muscles, but this is only one aspect of losing weight successfully. Exercise often increases your appetite, so be sure to keep track of all your food and beverage choices throughout the day to ensure you don't exceed your total calorie needs.